A study of a boat's motion is carried out in order to analyze the aerodynamic properties of the optimal sail for obtaining the maximum velocity when sailing to windward. 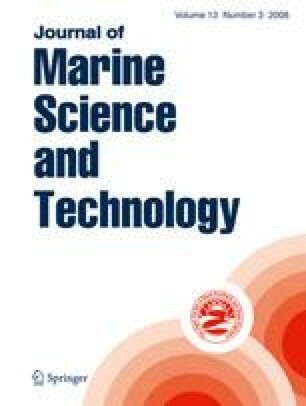 The mechanics study shows the optimal C L and C D for a given sail and how the shape of the aerodynamic polar of the sail should be. A parametrical analysis of the aerodynamics of a sail is then carried out varying the maximum camber, position of the maximum camber in the chord direction and position of the maximum camber in the mast direction. The parametric analysis is done numerically with a vortex lattice method (VLM) and experimentally in a wind tunnel. The results show that the influence of the relevant parameters studied can be reduced to the variation of two parameters, A and B, defining the polar of the sail, C D = B + A 2 C L 2; and the influence of parameters A and B on the maximum VMG obtainable are calculated. This work has been sponsored by the Spanish Consejo Superior de Deportes (CSD) and by the Universidad Politécnica de Madrid (UPM) and is part of a more general endeavour for the study of sails design.